Looking for a warming and autumnal porridge to enjoy as the morning are getting cooler and cooler every day? Spices, pears and cacao scream autumn and a hearty, warming breakfast that will keep you feeling festive! 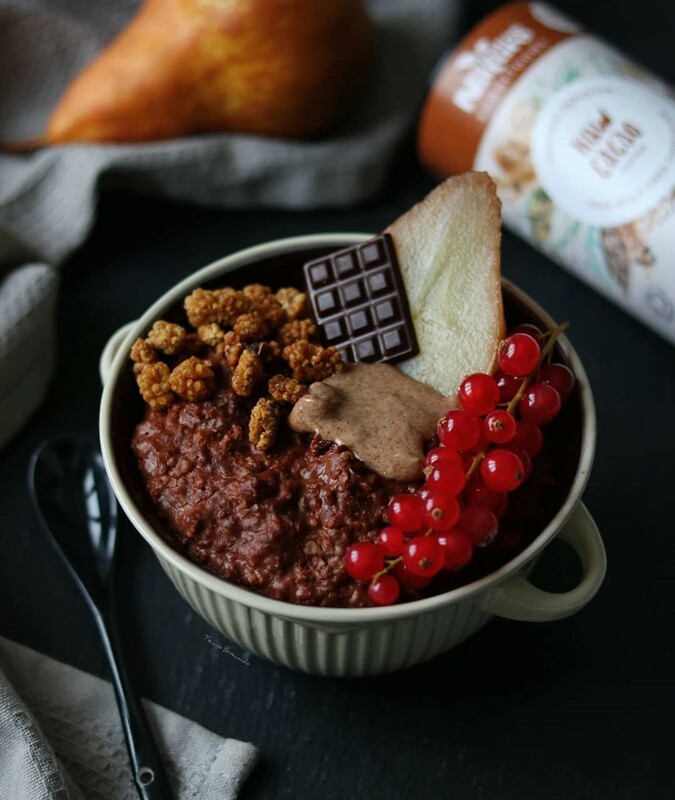 This recipe by Tiziano is giving us all the autumn-season feels and we can’t wait for you to try it! The perfect breakfast to make on a lazy Saturday morning and enjoy with a warm cup of tea, while you watch the colourful leaves fall outside your window. Enjoy! Pour oats and salt in a pot and roast them until they smell nutty. Add spices, hemp seeds and the blended pear, bring to boil on medium slow. When the contents in the pot start simmering- add chia seeds and the milk alternative. Simmer on medium heat for 5-7 minutes. Just before taking off the hob, mix the cacao powder with the oil in a separate bown until a nice, creamy texture is achieved. Switch off the stove, add the mixture of oil and cacao into the pot and mix well. Thank you Tiziano for this recipe!